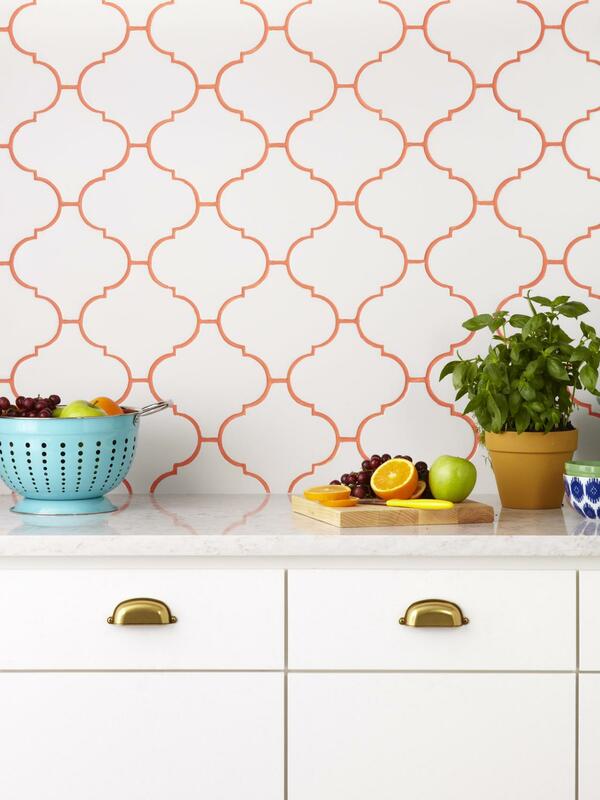 Orange grout with white arabesque tile! As a designer, I’ve seen a lot decorating ideas, but every once in a while I stumble upon something totally fresh and new. I’m familiar with the wide range of grout colors out there, but I have never seen colored grout used to create such bold, bright contrast. If you are seeking an inexpensive way to put your personal stamp on your home, this is a fun, creative way to do it. 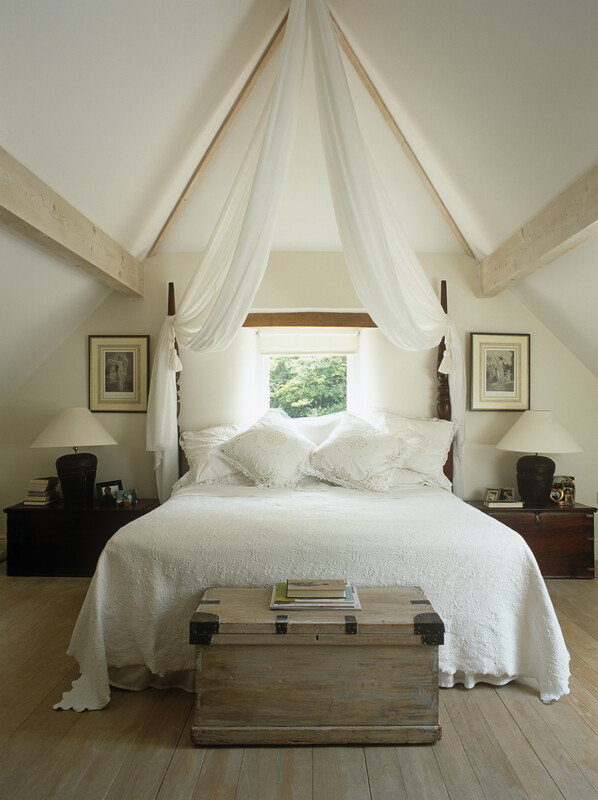 This bedroom is country done right. It has the perfect mix of nostalgia, whimsy, and simplicity, with a dash of modernity thrown in to keep things current. Although the furnishings are sparse and the colors neutral, the floral texture of the bedspread and the gauziness of the draped canopy infuse the room with softness and comfort. Bright sunlight and chunky modern lamps keep the mood light (no pun intended!) so that it doesn’t look like something from a period-home tour. It hints at old-world romance while leaving fuss and clutter behind. 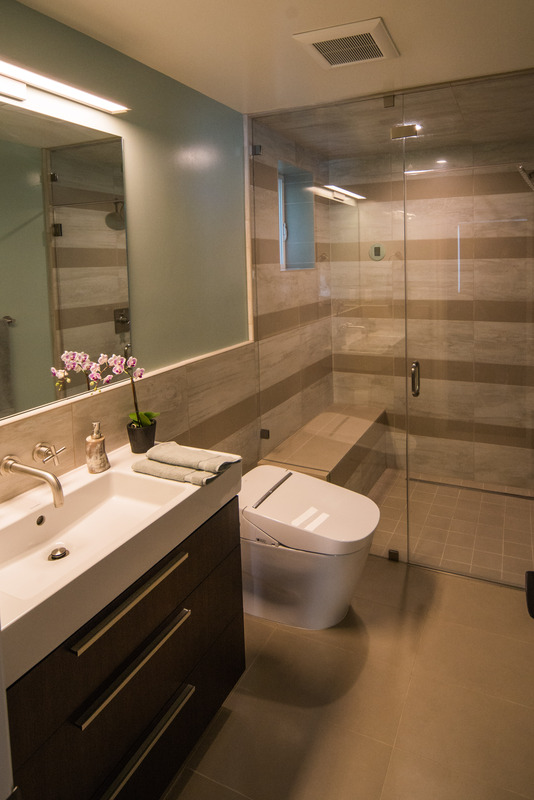 Calm, relaxing, warm, peaceful… These words describe the atmosphere inside this newly designed San Francisco bathroom. As the mother of a 3-year-old, I find even the briefest moment of bathroom privacy to be an absolute luxury. If I could enjoy a moment of privacy in THIS bathroom I would feel like I was being pampered at a day spa. Many San Francisco homes appear to be two stories from the outside, with a garage door at the ground level and a set of stairs leading up to the front door. Once inside, you realize that the entire livable home is on the upper level. The ground level is an unfinished garage and storage space. My client undertook the major task of turning the entire back half of her garage into a master suite / den, along with a finished laundry room and interior stairs leading up to the entryway on the main level. My help was enlisted for the bathroom design. Having done her homework on Pinterest, my client had a clear idea of what she wanted. 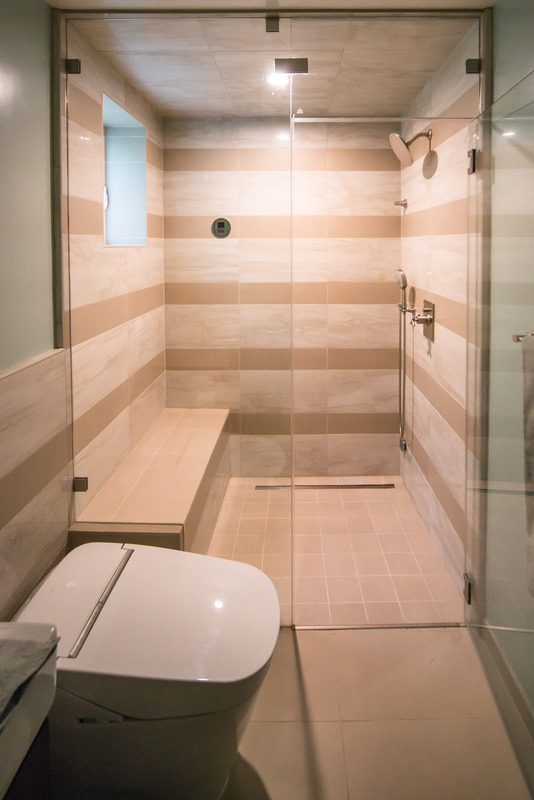 She loved the look of clean, modern, large-format porcelain tiles. 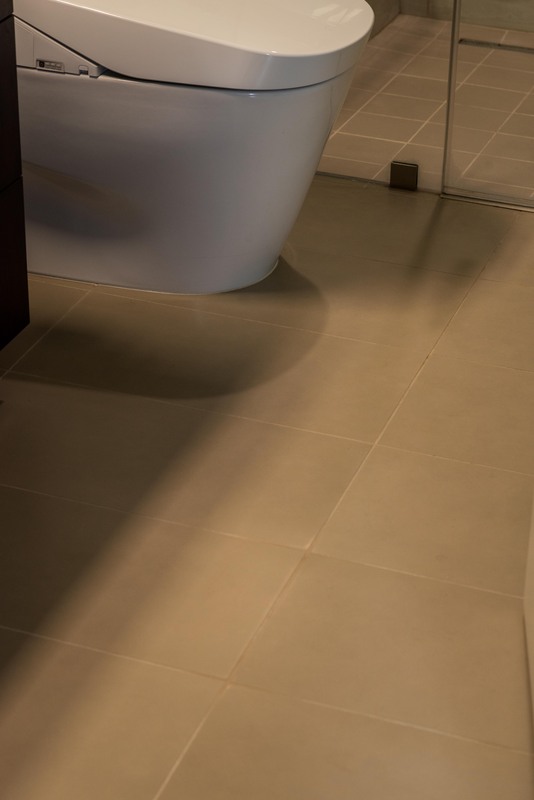 If you have ever shopped for porcelain tile, you know the range of options is huge. We looked at an assortment of patterns, textures, and geometries (circles, squares, ridges!) in shades of charcoal, beige, and bright white. 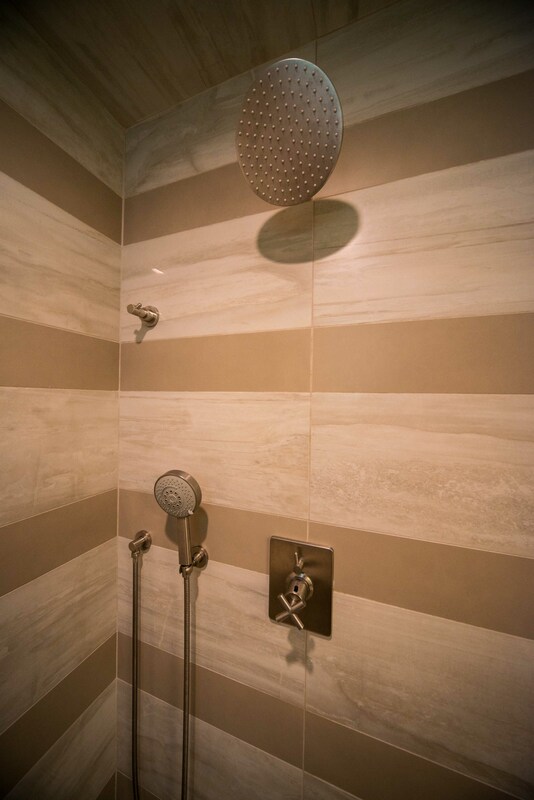 As we considered various options, my client’s thoughts kept returning to a particular image she had seen during her research: a bold horizontal stripe constructed out of contrasting tiles. Of course, like most trends, a bold design choice can quickly become outdated. She feared that the bold contrast stripe would grow tiresome within a few years. I made it my mission to find the perfect balance of contrast and neutrality. And we did it! 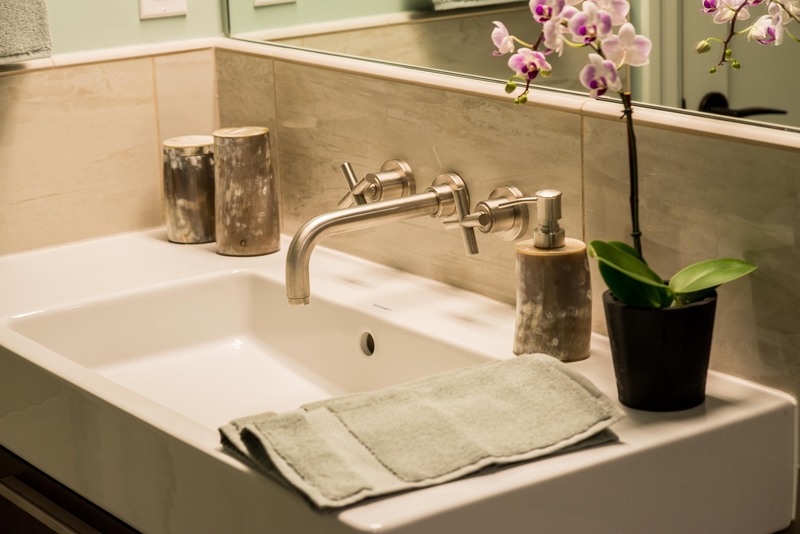 The solid, matte, mocha-colored tile has a smooth but slip-proof finish and is a lovely complement to the mix of cream and beige tones in the polished “marble look” tile. It stands out without screaming “look at me!” With the perfect tiles selected, our next challenge was finding the exact sizes we needed. Both tiles were available in the large 12×24″ size that we liked, but they didn’t have many sizes beyond that. Luckily, our skilled contractor was able to cut the porcelain tile down to the dimensions required for our design. 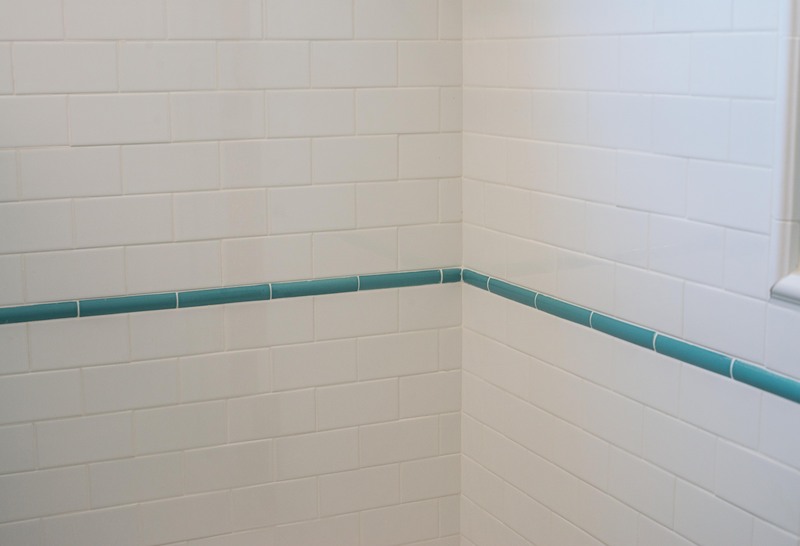 He trimmed the solid tile down to 6×24″ for the wall stripe and 6×6″ for better traction on the wet shower floor. He then trimmed the 3×24″ surface bullnose down to a quarter round for the trim, and created baseboard using the through-body matte tile. *Side note: Through-Body means that the color pigment runs through the entire material, rather than just resting on the surface. This allows you to cut and polish the tile yourself and still have a finished, color-matched edge. We looked at a variety of paint colors in shades of blue and green, ultimately selecting the tranquil Bali color from Benjamin Moore for the walls. 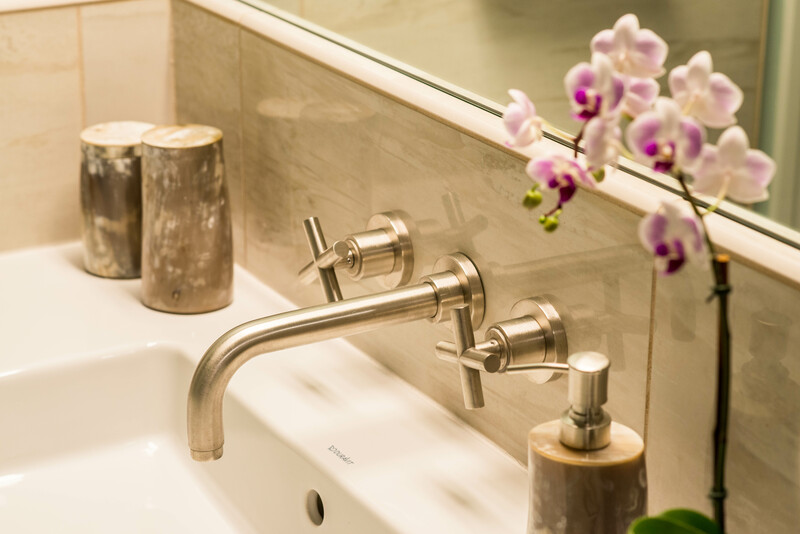 For fixtures, we considered polished nickel and dark, oil-rubbed bronze. Once again, my client looked past the trendier bronze option in favor of the classic, timeless look of brushed nickel. 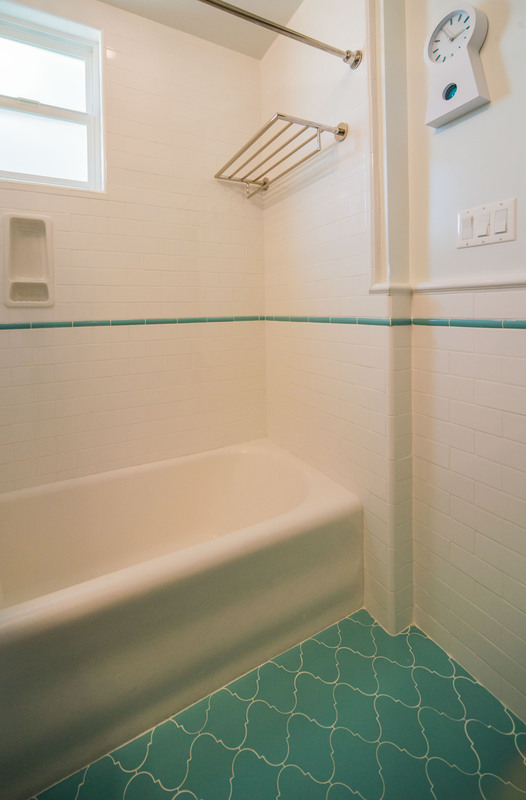 For the shower floor, my client opted for a curbless shower, which slopes down towards a slim drain along the far wall. The curbless entry and bench are fantastic features. Although they are comfortable for people of all ages, they add resale value, particularly among older buyers with decreased mobility. 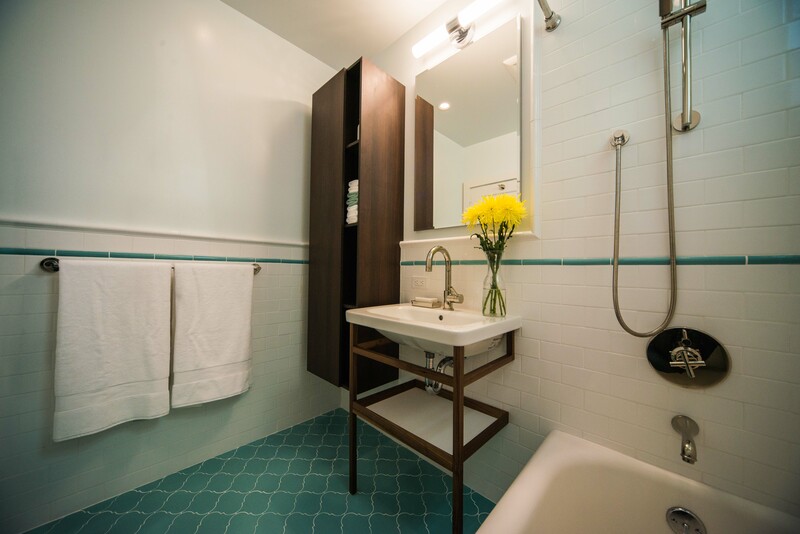 This fairly compact bathroom had to be built to fit within a typically narrow San Francisco footprint. But once inside, compact becomes cozy. 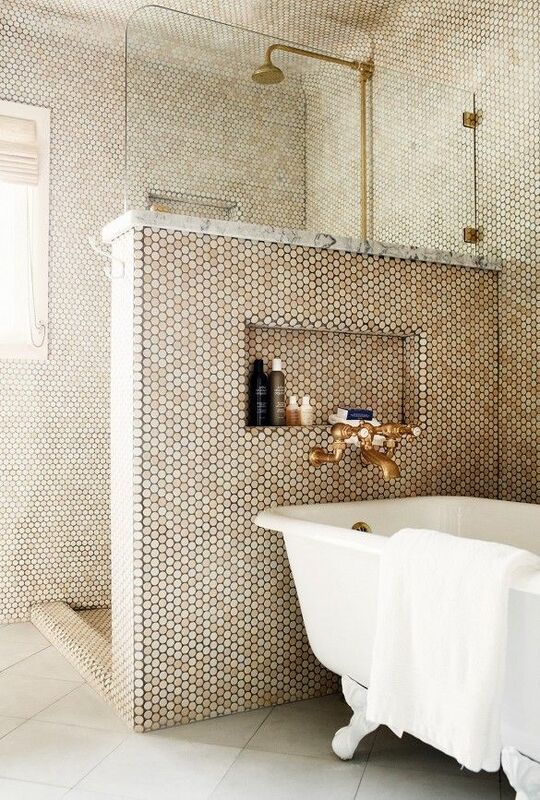 And this bathroom proves, once again, that small spaces can have big style. Are you ready for show-and-tell? It’s as fun now as it was when I was 5! 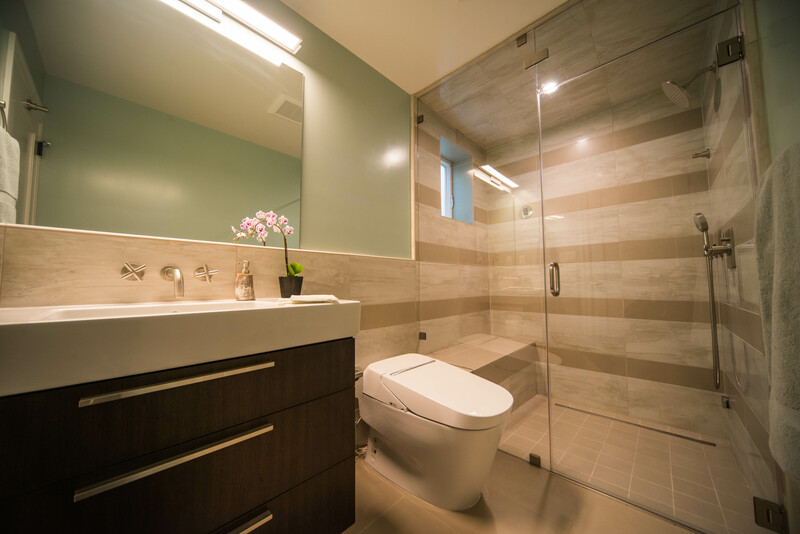 Today’s big reveal is a bathroom remodel I recently completed in San Francisco. The home, built in the late 1920’s, falls into the classification of “Storybook” architecture prevalent in San Francisco’s Sunset District during the depression era (although it predates the fanciful peak of the Storybook period by a few years). Despite the similarly colorful facades, this period is a notable contrast to the typical Victorian architecture for which San Francisco is famous. My client wanted to incorporate classic period details with respect for the home’s distinct architectural personality. We considered a range of ceramic and marble subway tile options with various accent colors, including black, jade green, and gray. However, this particular client (who was a designer’s dream to work with!) had an eye for unusual shapes, bold colors, and modern details that simply couldn’t be ignored. We followed her instincts, and the design evolved from a traditional subway pattern into a marriage of classic forms, bright colors, and clean, modern fixtures. 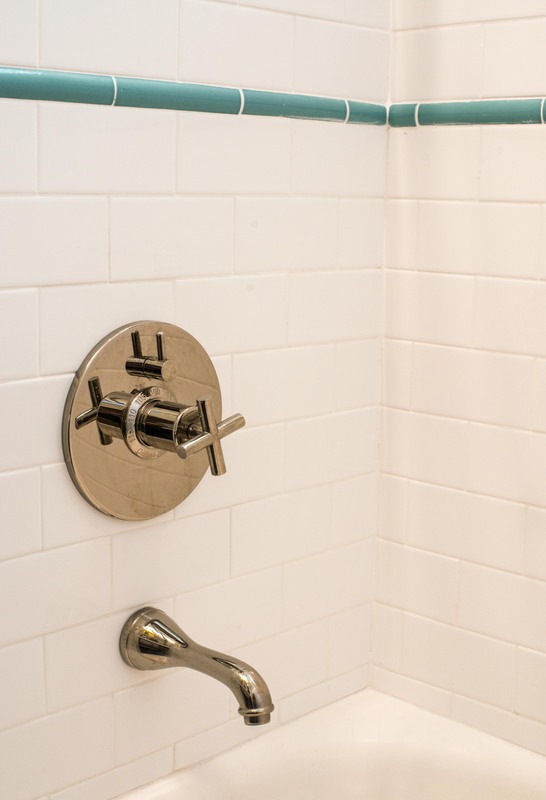 Classic white subway tile covers the walls in keeping with the original concept. 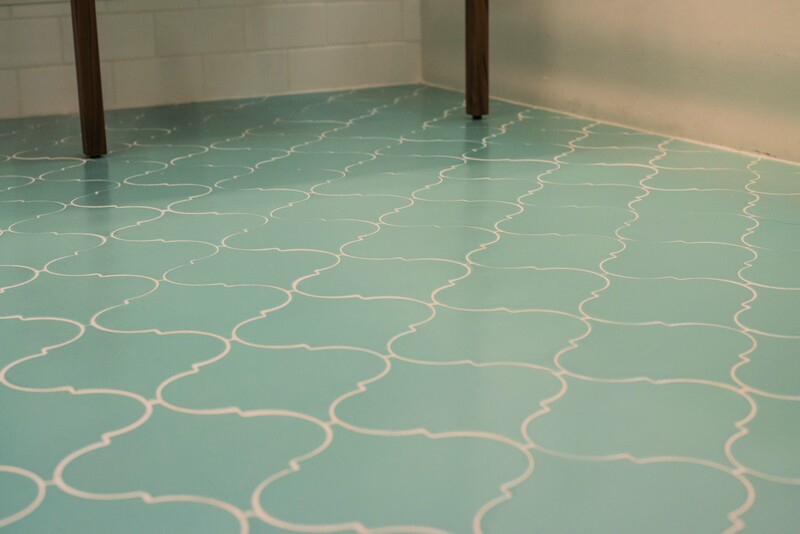 We took a more playful approach with the floor, choosing an Ann Sacks arabesque pattern in custom handmade-to-order Robin’s Egg Blue, with glossy blue liners to match. We wrapped the liner around the perimeter of the entire room, so that wherever you turn you get a glimpse of the lovely shade. My client took her unique taste one step further with the fixture and furniture selection. 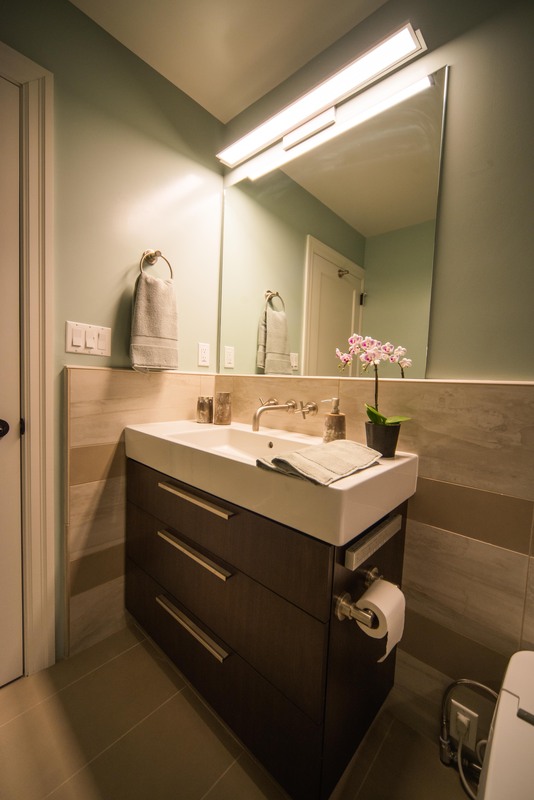 Although we looked at more traditional options of the Restoration Hardware variety, she ultimately settled on clean, crisp, angular pieces from Duravit in a dark walnut finish. 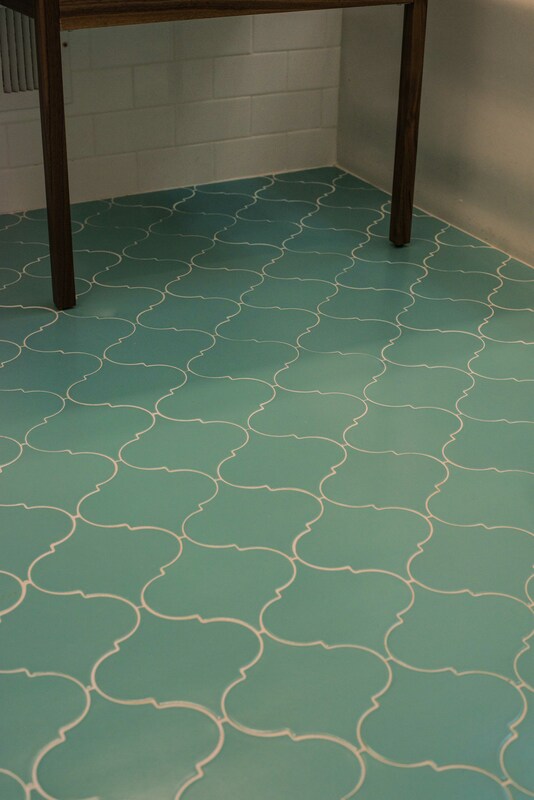 They serve as an unexpected, yet surprisingly pleasing, contrast to the curvy floor tile. The walls are painted a subtle, barely-there blue that changes with the light and keeps the room from feeling too stark or overwhelmingly saturated. Last but not least, you may be wondering where the toilet is located. 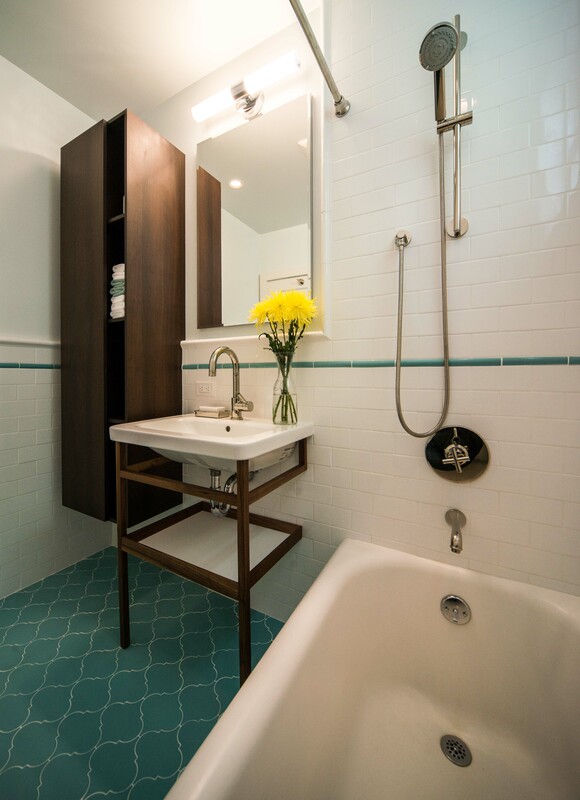 In keeping with the time period, the bathroom layout features a separate water closet. 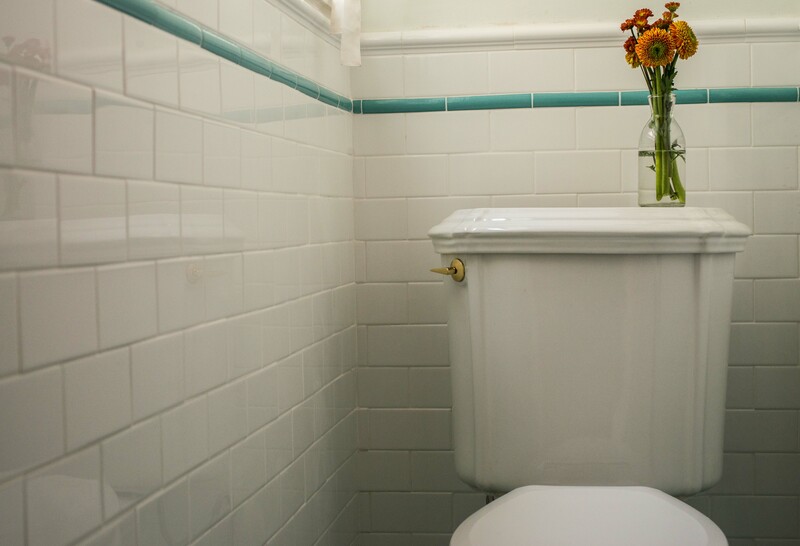 We kept the original toilet, but refreshed the small room with the same floor and wall tile as the main bathroom. 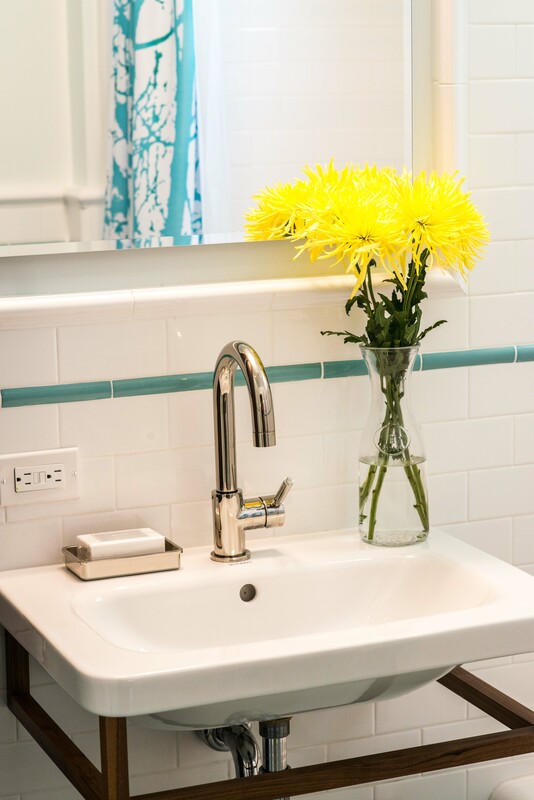 The bathroom feels fresh, bright, and contemporary with just a cheerful nod towards the home’s historic roots. Most importantly, it brings my client’s unique design style to life. Perhaps you’ve heard this bit of wisdom before, but it is worth repeating: Swapping out standard cabinet knobs for something of your own choosing can have major impact. It is a small, subtle detail, but it makes a huge difference in the overall feel of the room. Personalized knobs make your space appear unique and purposeful. They add a touch of fun, color, sophistication – whatever you want! 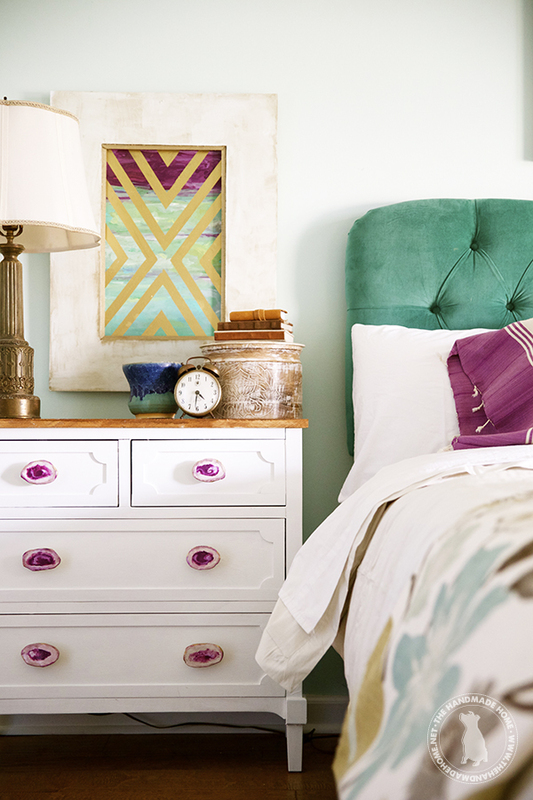 The agate knobs on the dresser-turned-nightstand above are a perfect example. And this rule applies to many things, from door knobs, to kitchen cabinet pulls, to dressers and nightstands. I once swapped out the builder’s-special wooden doorknob on my Manhattan rental apartment closet for a charming green porcelain knob from Anthropologie and it took the room from generic to charmingly romantic. In fact, I’ll go so far as to say that a knob swap is the easiest home improvement project you will ever complete. So the next time you are looking for a quick fix, check out the knob selection at Anthropologie, World Market, or even your nearest Home Depot to see how you might be able to add a bit of personality to your space. Yes, this is an exterior photo. But in many homes (like mine) the view through your window serves as a backdrop for your room. An exterior view can be just as important as a piece of artwork or a colorful textile. A nice view invigorates your space and your mind. And even the smallest patio can be dressed up to be as cheerful as the image above. 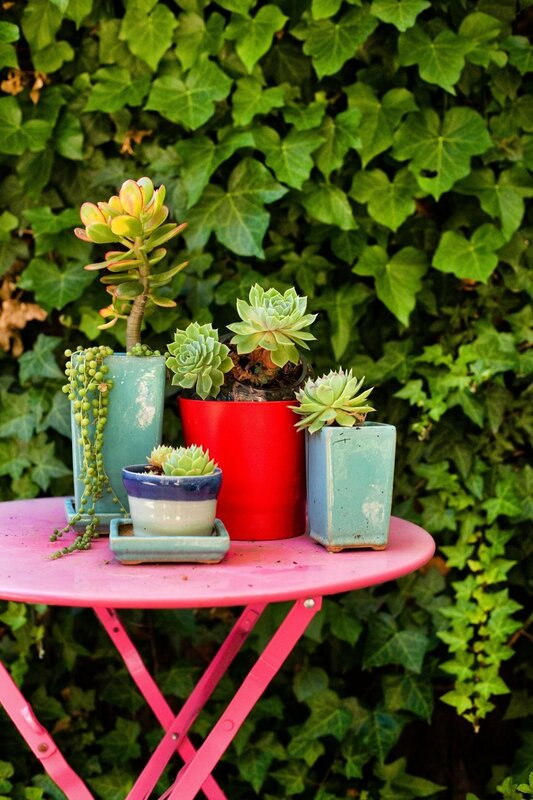 A colorful patio table, a few interesting pots, and some succulents make for a gorgeous, budget-friendly tableau. Don’t have a wall of ivy growing outside your window? Don’t worry. Even the smallest bit of color and greenery is sure to enhance your view. Something about this pale peach hexagonal tile feels both retro and modern. 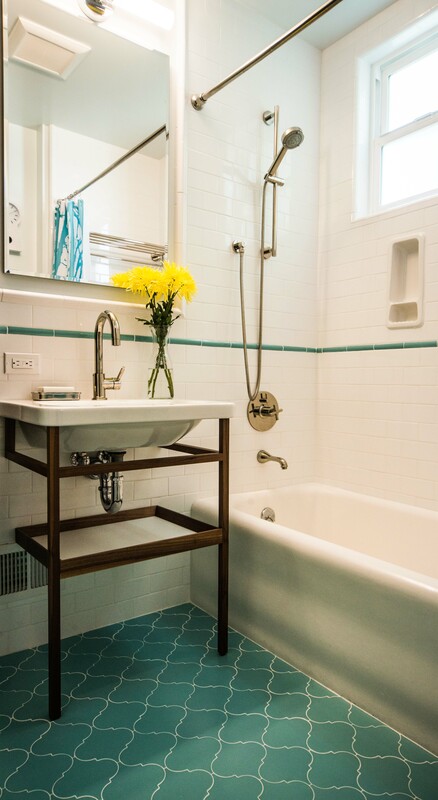 The claw foot tub, brass fixtures, and small-scale tile are quite traditional, but the combination feels completely contemporary if only because it embraces bold, personalized design. The way the tile curves in and out of nooks, up the walls and across the ceiling is a contradiction of simplicity and opulence. And because I love it so much, I’m giving you two for one. 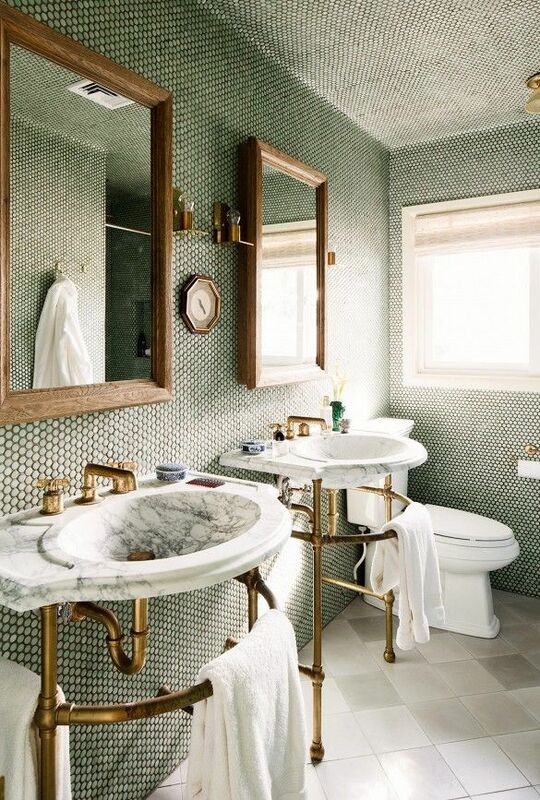 Scroll down to see the similar application of green penny tile, traditional fixtures, and dark grout in the same house in Hawaii. FYI… This is a vacation rental! Follow the link to learn more. The visual side of my brain loves this. A glass door on the bathroom… It’s edgy! It’s cool! It’s original! 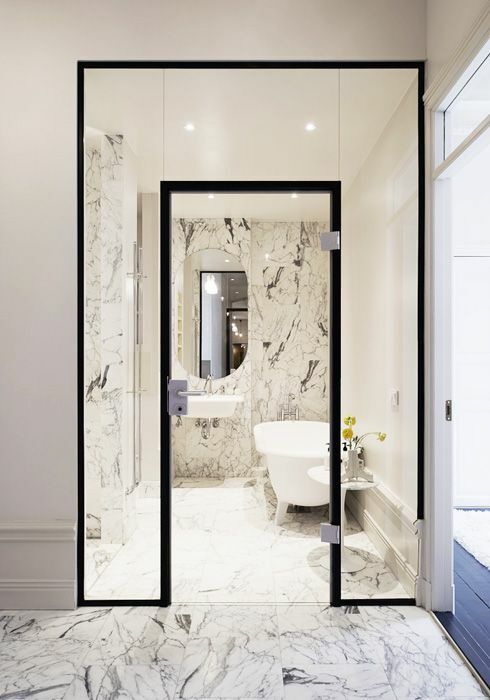 The thick black frame and chunky steel hardware strike a chic contrast to the marble veining and curvy white fixtures. But style aside, the practical side of my brain still asks WHY. Why put a glass door on a bathroom? Bathrooms are a private space, but this offers no visual privacy. The room is in a personal home, so there is probably little noise to block out. 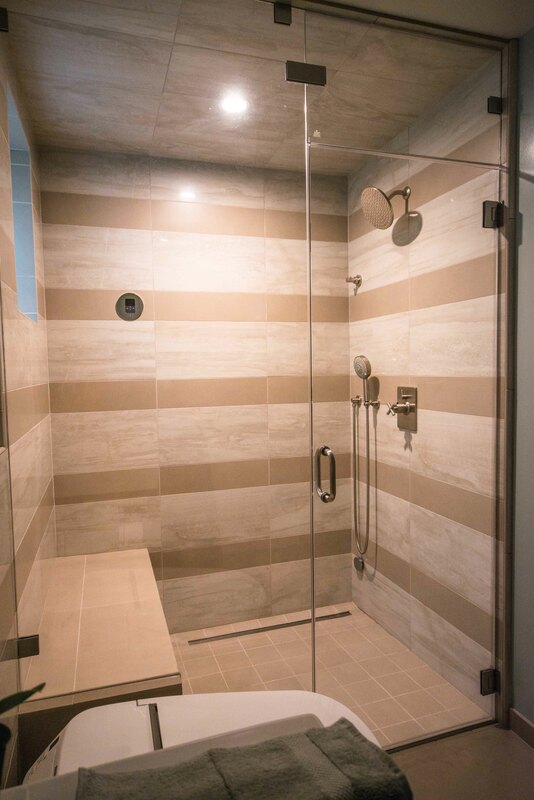 I would suggest that it’s to allow the shower to steam up properly, but in the background I see that the shower has a glass door of it’s own. In conclusion, I can only assume that no matter how edgy and cool you are, sometimes you still just want to close the bathroom door. And practical or not, this door looks fantastic. I realize that it is only February 3rd and that most of the country is freezing, but here in sunny California spring arrives early. REALLY EARLY. I’m sure my daughter Lola would tell you that Shoe Season (aka, the terrible part of the year when I force her to wear shoes at the playground) is officially over. For those of you who are still scraping ice and shoveling snow, forgive me while I indulge in a little spring fever. I came across this gorgeous image yesterday and it makes me want to go out and buy the brightest floral throw pillows I can find. I love color and pattern, and this combination of vibrant butterfly drapery and textured turquoise wall covering gets the combo just right. 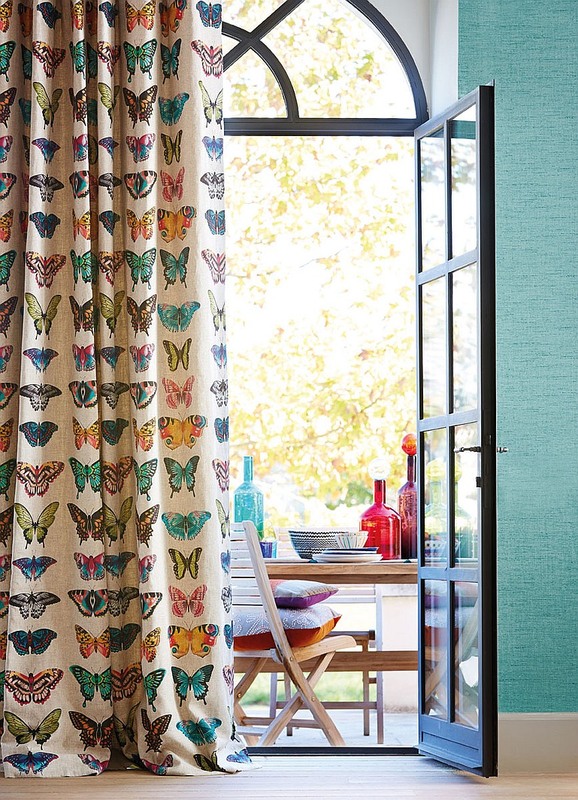 The fabric is a new line from Harlequin called Amazilla. It premiered at the Paris Deco Off show in January. Rumor has it that brightly hued flora and fauna will be BIG in coming months.